India Fast Forward/Universal Education on Pause? India is one of globe’s rising political, military and economic powers, a member of the BRICS, an aspirant for a permanent seat to the UN Security Council, but much of its population is still caught in the grips of poverty and lack of opportunity. Social, caste and ethnic/religious inequality persists. Thus, it was a critical decision by the Indian Supreme Court to uphold an Act which mandates that a quarter of the places in the county’s private and public schools should be reserved for disadvantaged groups. 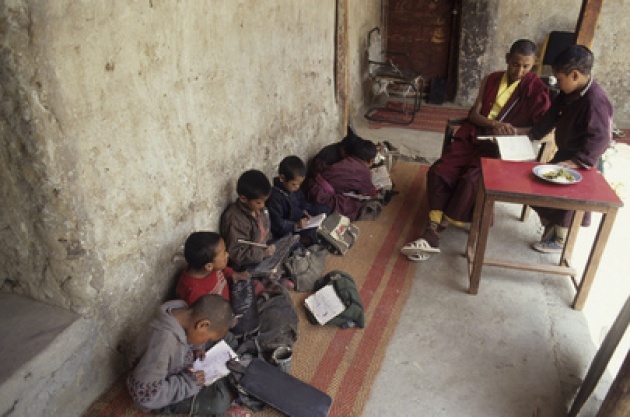 “Exclusion and poverty remain the most important obstacles to the realization of the right to education in all regions of the world,” said the Special Rapporteur on the right to education, Kishore Singh. He also hailed the Court's decision as an important step towards ensuring better education opportunities for all, in line with India’s constitutional and international obligations. “This judgment should inspire other countries. Human rights law is clear – no one should be deprived of basic education because it is unaffordable.” The Court’s decision followed petitions by some private providers of education who complained that the law violated their autonomy. The Court ruled that the Act applies uniformly to government and unaided private schools across the country, except for unaided private minority schools. Kishore Singh is the Special Rapporteur on the right to education since August 2010. He is an Indian international law expert, who has worked for many years with UNESCO for the promotion of the right to education, and advised a number of international, regional and national entities on right to education issues. Throughout his career, Mr. Singh has supported the development of the right to education in its various dimensions and worked for its better understanding as an internationally recognized right.